​Real Madrid have been tipped to rival Manchester United in the race for Napoli centre-back Kaliou Koulibaly, with claims that Los Blancos could be readying their own monster bid. Real have had a disastrous few months since winning the Champions League for a third straight year last season and then watching manager Zinedine Zidane walk away at the top. The club is playing catch up in Spain, not only in La Liga's title race but just to finish in the top four and avoid the embarrassment of potentially failing to qualify for the Champions League. Gossip originating from Italy and shared by the like of the Daily Mail and Manchester Evening News claims that Real are eyeing Koulibaly as a January addition to save their faltering season. Napoli are thought to value the towering centre-back at a minimum of £90m (€100m). 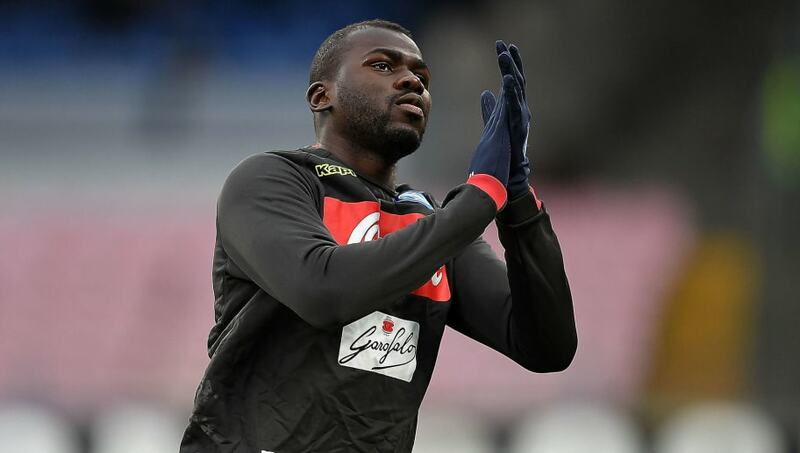 United weren't expected to make any formal attempt to sign Koulibaly until summer and it remains to be whether Napoli would sanction the sale of their biggest asset at this stage of the season when they are still just about clinging to Juventus' coat tails in the Serie A title race. The report even claims that United have identified Roma's Kostas Manolas and Porto youngster Eder Militao as alternatives targets should Real beat them to the punch regarding Koulibaly. Having lost against Real Sociedad and drawn against Villarreal, Madrid will be looking for their first La Liga win of the new calendar year when they make the trip south to Andalusia to face a potent Real Betis on Sunday evening. Shockingly, Los Blancos have won only five of their last 13 league games, losing six.